Installing the right roof on a build is very important to prevent unexpected roofing problem at the early stage. 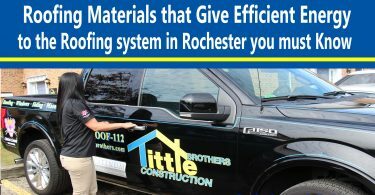 If you reside or have a business(s) in West Bloomfield and contemplating on the best type of roof for your building, here is what you need to know before contacting the roofing contractors in West Bloomfield. The truth is that putting a slop on a relatively small building can be very easy; however, it does not scale well for the big commercial building where the roof point 100ft into the air. The big commercial building may incorporate multiple slopes, but it would be costly and not look appealing. Commercial building basically requires flat roofs which is the most inexpensive roofing type for such a structure. However, 1% slope is what contractors usually used, but you can use 2% slope for the flat roof. – It will be cool for it. Residential buildings demand natural ventilation; therefore, such a structure should have an attic space at the top of the “A” frame roof or a sloped. Space will have a ridge vent at the apex and the perimeter at the floor surrounded by soffit vents. Such design in residential building enables warm breeze to rise through the structure then exit from the attic to give natural air flow and ventilation. Thus, this type of design is not needed for commercial building since they are not for residential use. Mechanical ventilation is best for commercial buildings, and that is why flat roof designs are recommended for such a structure. Flat roofs are recommended for institutional and commercial buildings because such structure are quite large and slop roofs are recommended for residential buildings since they are the apartment where people live, and such a structure is quite small. Natural air is the ventilation needed in residential buildings where people live, but the mechanical system is required in a commercial building since it’s for business purposes. Besides, the sloped roof will be too expensive for a large building, and it’s not proper. 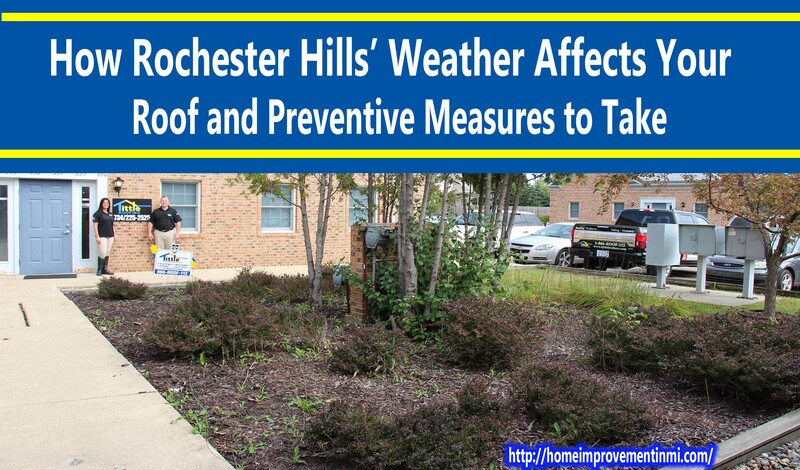 The most effective way of getting rainwater off a building to the ground is by using a sloped roof design. It is perfect that; a wood shingle roof at a reasonable slope can be built without any constant surface or waterproofing under the shingle. Though inside the attic of the sloped roof, one may see bits of light leaking, certainly, water will be effectively shed off the roof. On large commercial buildings with restrained footprints, a flat roof is needed to accommodate all the mechanical equipment which is usually found on the ground around an apartment or a house complex with enough green space. Professional roofing contractors in West Bloomfield would never recommend slop roof for your commercial building in West Bloomfield because they know that slopped roofs are costly for a large structure. However, some clients may request for a sloped roof for their small office building; this might be to avoid leak problems associated with other building with flat roofs. It is uncommon that such client will incur an additional cost because aesthetically desirable roofing materials are quite costly. 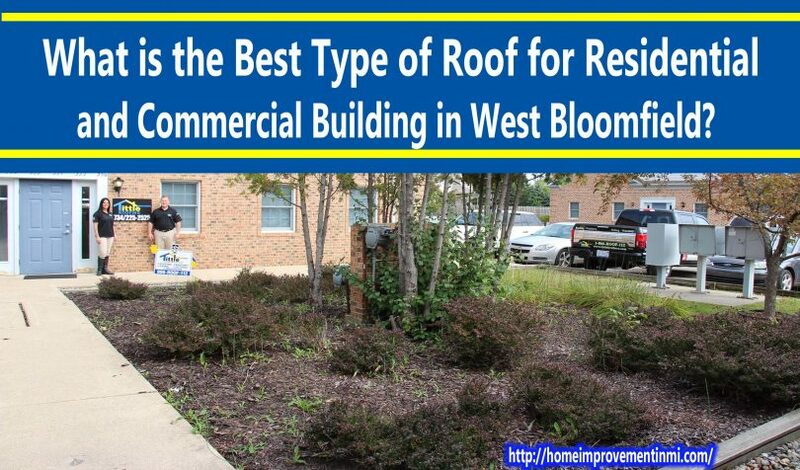 As we have known the best bet for the commercial and residential building when it comes to roof design, it is important you contact your roofing contractors in West Bloomfield to see the roofing materials that suite each roof design. The flat roofing system is of different types; I will suggest you go for materials like; fiberglass, build up the roof, EPDM rubber, or modified bitumen. Hope this content will help you in making the best decision in roofing your building? If so, kindly share it with friends on your social media channels. This content is first seen on https://homeimprovementinmi.com.